Currently Available for your event. Running time:30-120 minutes. Based on requirements. 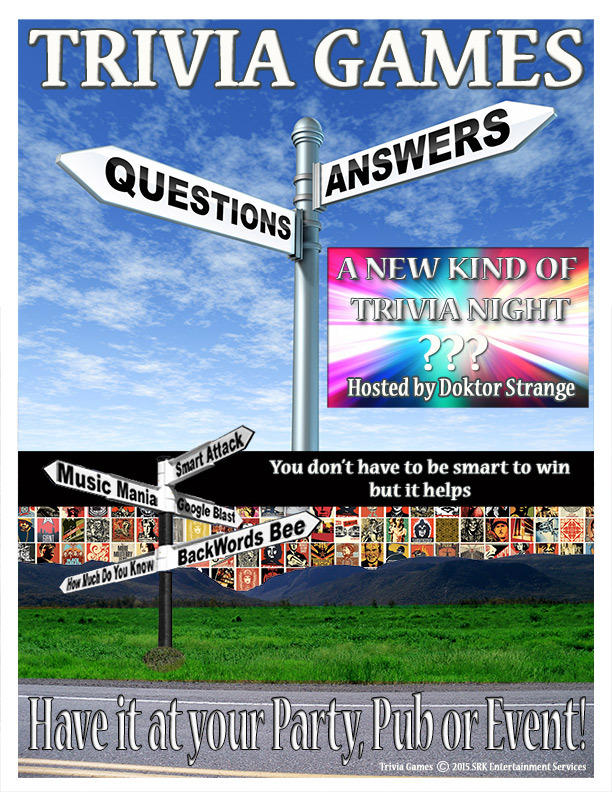 A Series of Unique Trivia Based rounds. Sit a spell, but sit backwards. How Smart do you think your opponent really is? Please E-mail your inquiry about your event and what you would like and we will get back to you ASAP. Email us direct click here. "Trivia GAMES © 2015 SRK Entertainment Services.